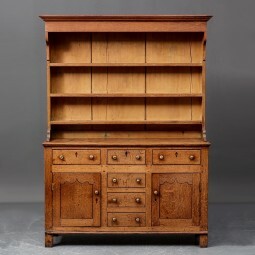 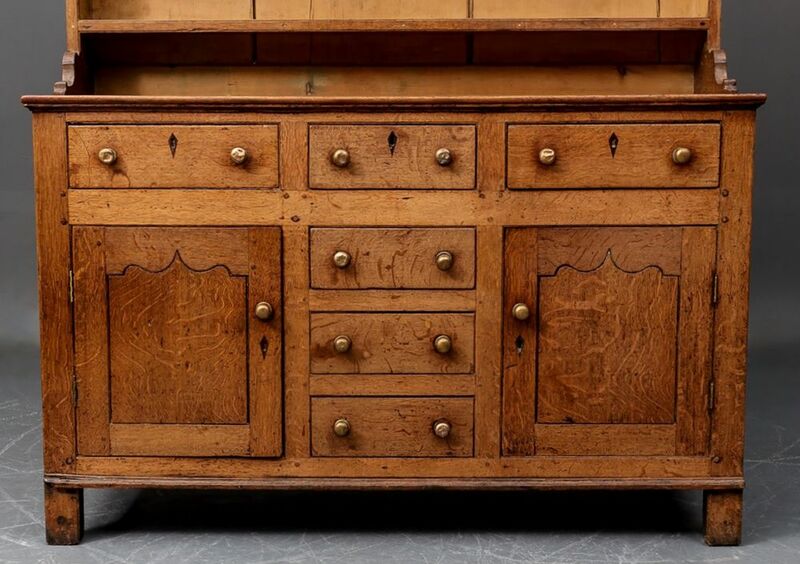 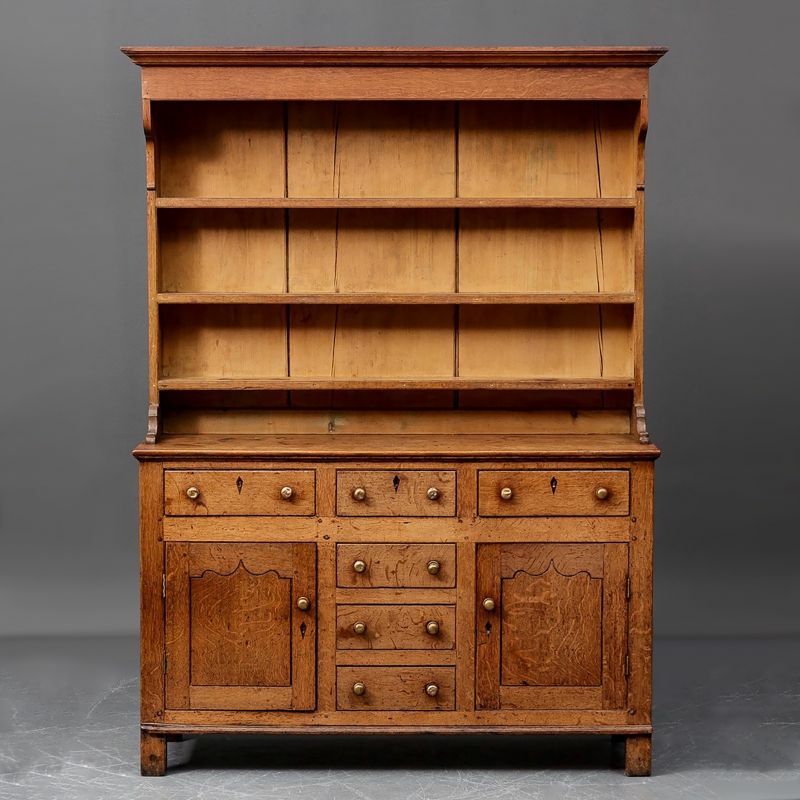 This is a very good looking, well balanced light oak dresser from North Wales made in the 1820s. 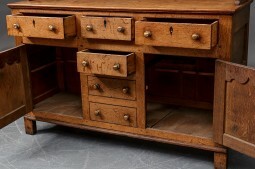 It is a practical piece of furniture with plenty of storage space. 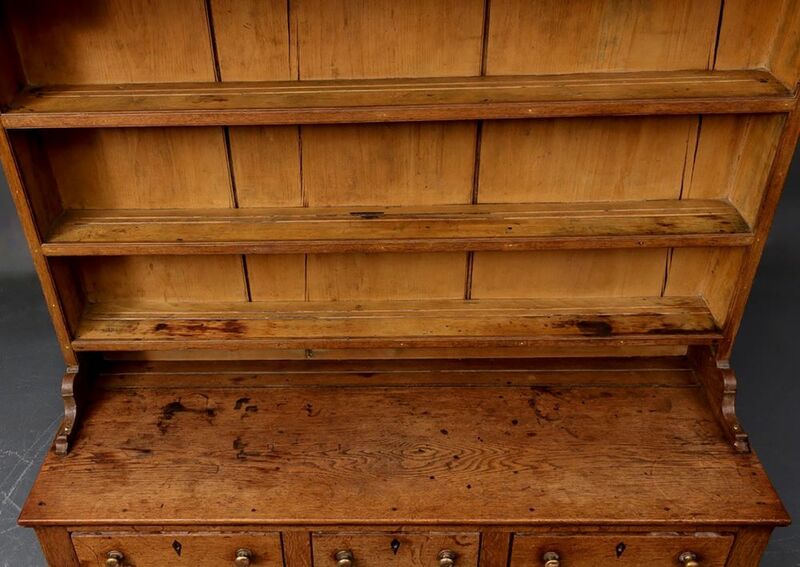 It has three drawers along the frieze, and one more down the middle, interestingly, the other two are dummies. 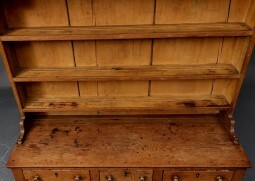 There are cupboards on either side that meet in the middle. 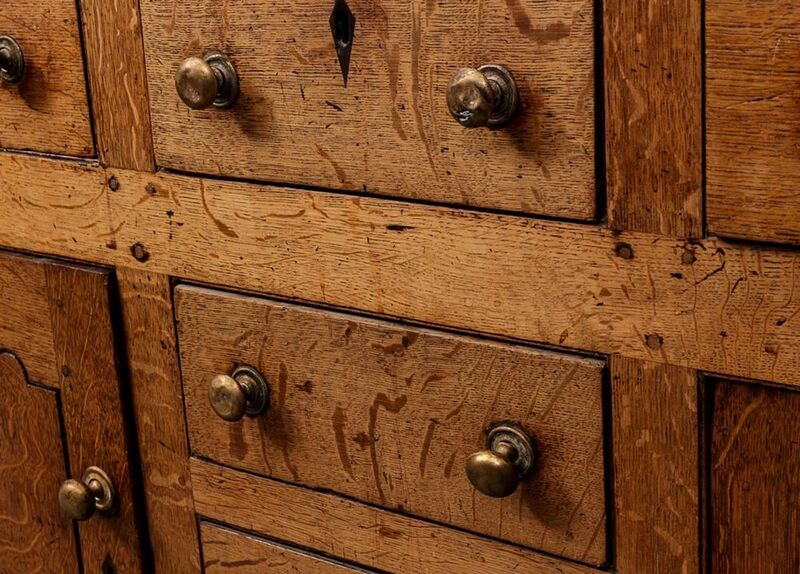 The drawer fronts and doors are decorated with inlaid lozenges of black bog oak. 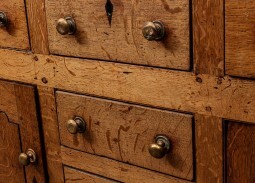 The handles are the original round brass knobs. 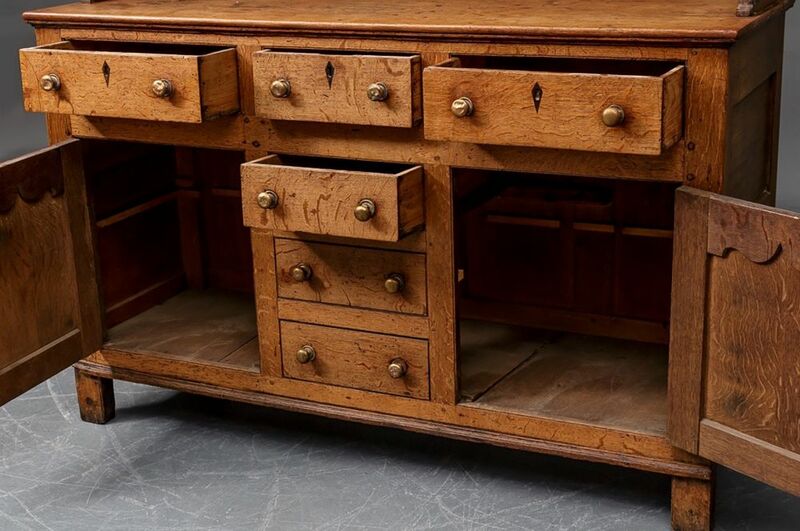 The rack is original to the base, it is very well proportioned. 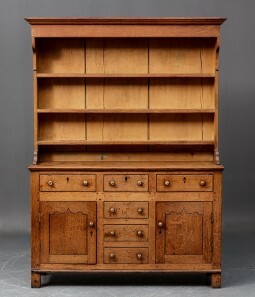 It has what I always look out for - very wide and odd sized back boards in pine, stained to match the oak. This is a good opportunity to acquire a very pleasing piece of country furniture in a really warm honey coloured oak with a rich patination, in original condition. The measurements are 58 inches (148 cm) wide, 19½ inches (50 cm) deep and 81 inches (206 cm) high.